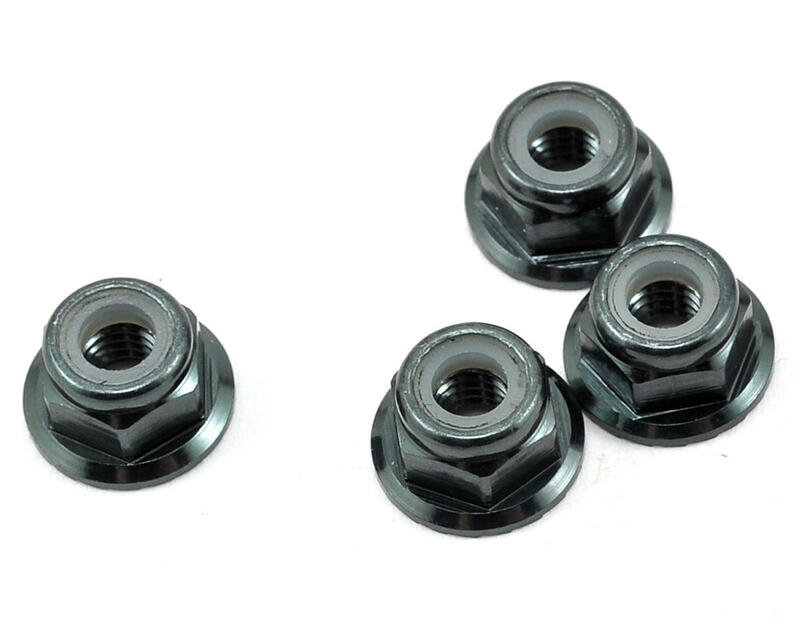 This is a pack of four replacement Tekno RC M4 Aluminum Serrated Locknuts, and are intended for use with the Tekno RC SCT410 4wd Short Course Truck. Never had one of these come loose. Best wheel nut on the market! I think these are the best locknuts I have used. 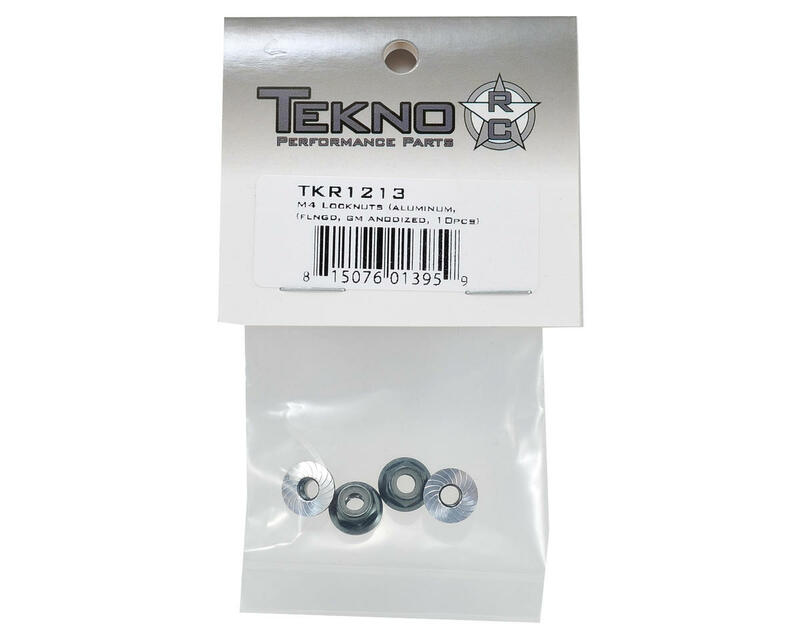 I am using these on my TLR 22T and 22SCT because the plastic insert kept coming out of the nuts the first time I would use them on the TLR nuts. I bought a bag of the TLR nuts (I think 6 came in it) and I installed 4 brand new ones and 2 of those the plastic insert came out the first time I threaded them on and had to throw them away and get 2 more new ones out. I definitely recommend these. I just wished they offered them in black. These have been probably the best lock nuts I've ever used. If you're buying a SCT410, there's no need to buy different ones, these work great.